This idea came from Cecilly, one of the most creative, inspirational piano teachers out there. The flashcards have all of the landmark notes, followed by a 2nd’s and 3rd’s above and below. 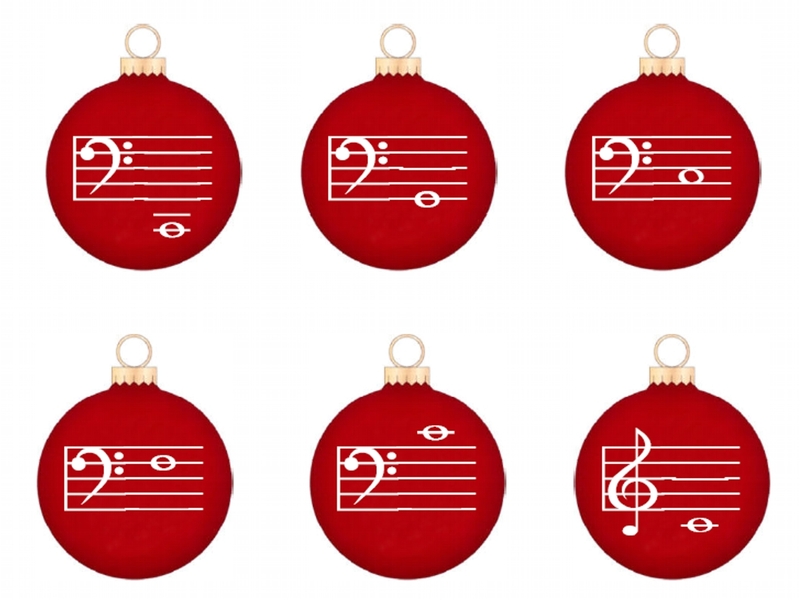 They are color coded as well – the bass landmarks are green and the treble are blue. The cards are rather large – 2 cards per page, so they work will with group classes as well. I printed mine front and back on heavy card stock. 6. Push the print button, and you’re done! 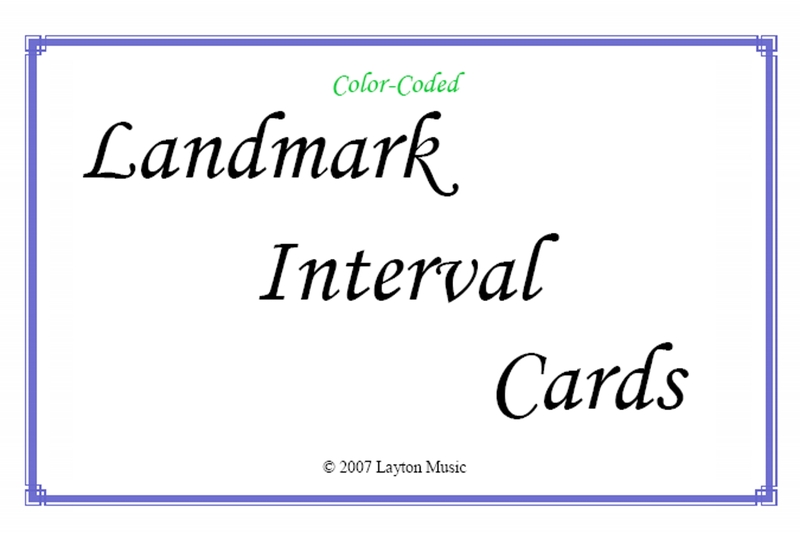 Here is a set of 30 interval cards. There are cards with 3, 4, and 5 notes on a staff. 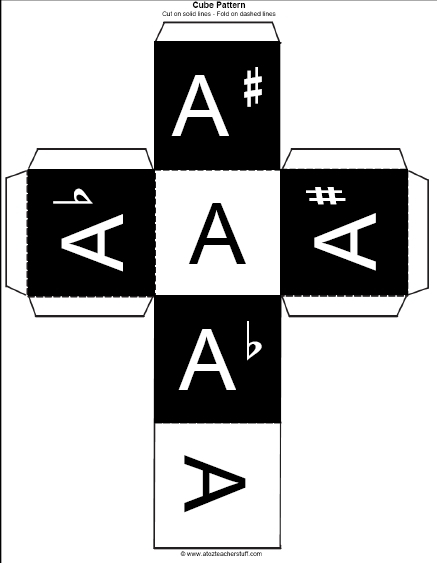 There are no clef signs, so cards can be used right side up and upside down. This came from Mary Gae George’s Teaching Music Note Notes DVD. She has students look at the cards for a few seconds. 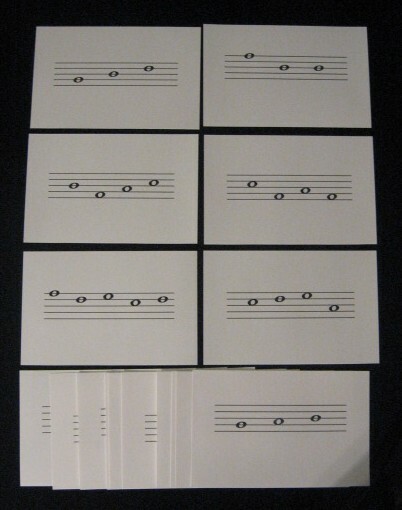 She then takes the card away, and students tell her how many notes, say the interval size and direction in rhythm, then all possible finger number combinations the notes can be played with. Thanks to Gail from pianoteaching.com for this great idea!